Save on all self-study courses, webinars & packages in October! Fall means cooler temperatures, changing colors, and back to school. For RDs, that also means earning CEUs. 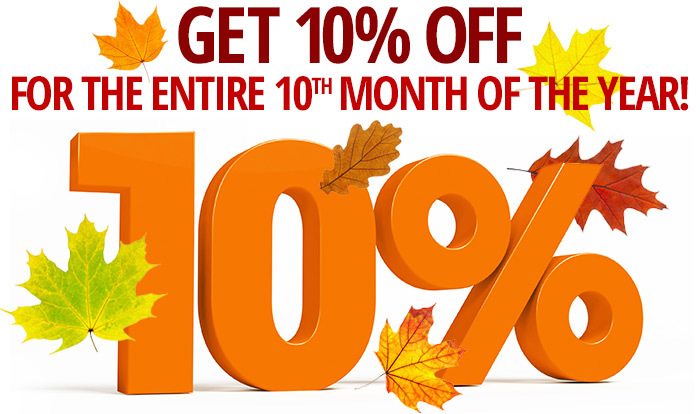 Your friends at Today's Dietitian want to make accumulating those credits a little easier with a 10% off special throughout the month of October on all self-study courses, recorded webinars, and multi-credit packages. This offer does NOT apply for books or CE Club Memberships. Just choose your CE items from our Learning Library, place them in your cart and use the coupon code OCT1018 to receive your discount. and take advantage of this month-long special. Offer expires on Wednesday, October 31, 2018, at 11:59 PM EDT.